The Imbonerakure, a “dynamic and polite” youth group, are being unfairly represented as killers in order to justify killing them, according to General Secretary of Burundi’s ruling party, the CNDD-FDD. Speaking on 1 December, the Secretary General refuted accusations against the party’s youth group by the United Nations and other national and international human rights organizations. The Imbonerakure, which means “those who see far” in Kirundi, are the ruling party’s youth wing, which is loyal to President Pierre Nkurunziza, who has been in power since 2005. They are accused in many human rights reports of being involved in crimes in Burundi. 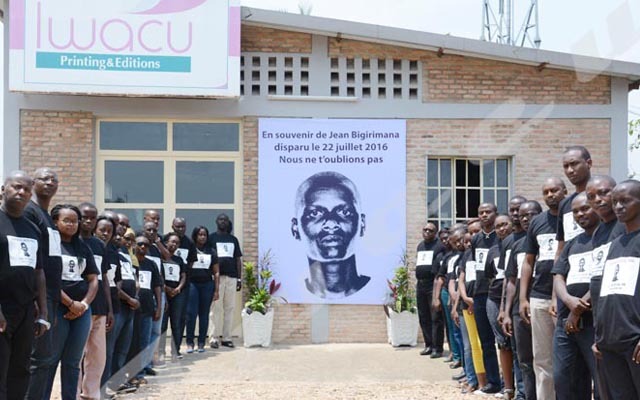 Burundian human rights activists in exile abroad accuse them of assassinating opponents and members of civil society organizations. Ndayishimiye says the international community is wrong in accusing the Imbonerakure of killing membersof opposition parties. On the contrary, he says the Imbonerakure are victims of a plan to kill them. “The first sign that shows genocide is dehumanization. If someone wants to kill another, he tarnishes his reputation so that the one who kills him is considered as a hero. The Imbonerakure are unfairly accused of being involved in the crimes committed in Burundi on the pretext of killing members of the ruling CNDD-FDD party,” he said. He said that the Burundian constitution stipulates that every citizen of Burundi should contribute to ensuring the security of the country. “After signing to cease-fire accord in 2003, we attended training on peace and security consolidation. The Security Sector Development Program project funded by Holland has implemented a community policing program that encourages the population to cooperate with the security forces,” says Ndayikengurukiye. He says that the enemies of Burundi began to tarnish the image of the Imbonerakure, accusing them of being an armed presidential militia since they failed to overthrow the institutions of the democratically elected states. “Imbonerakure are patriotic youth, dynamic and polite,” he concludes.